TRIPOLI, Libya – Seven years after the revolution, hundreds of thousands of people across Libya, live in dire conditions. In a bid to respond to the urgent humanitarian needs for 552,000 most vulnerable people living in Libya, the United Nations together with the Government of National Accord today launched the 2019 Humanitarian Response Plan (HRP2019), seeking US$202 million, to continue providing health support, protection, water, and shelter. The UN Humanitarian/Resident Coordinator for Libya, Ms. Maria Ribeiro and Dr Milad Al Taher, Minister of Local Governance, launched the HRP2019 in the Libyan capital, Tripoli. H.E. Fayez al-Sarraj, President of the Presidency Council, and Dr. Ghassan Salame, Special Representative of the Secretary-General for Libya and Head of the United Nations Support Mission in Libya (UNSMIL) participated in the event. 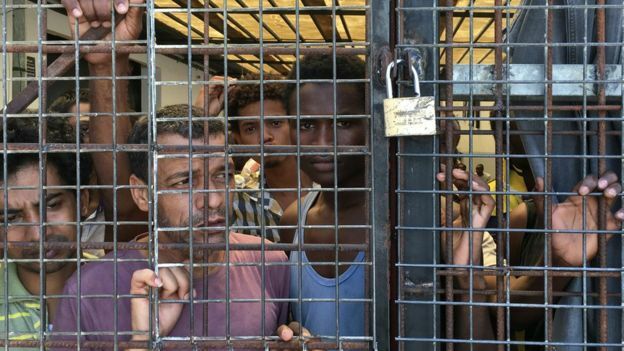 The Plan reveals that an estimated 823,000 people, including 248,000 children, are in need of some form of a humanitarian assistance in Libya, and that half of them are Libyan citizens. Conflict-affected refugees and migrants in or transiting through the country make up the other half. Hundreds of thousands of refugees and migrants face grave human rights violations and abuse in the absence of rule of law. Most of the refugees and migrants are young people from sub-Saharan Africa seeking opportunities to work and a better life. In the past four years, the UN and its partners have made important progress by increasing humanitarian access, building stronger partnerships with national and local organizations and municipalities. Last year, the UN and its partners received some US$81 million, which enabled them to provide humanitarian assistance to 320,000 of the most vulnerable people including 187,000 internally displaced people. “The Humanitarian Response Plan is considered one of the most important plans for Libya during the ongoing transition and a key factor for achieving the stability and security in Libya. We greatly value the support provided by all UN organizations without exception, from infrastructure services to better access to health care, education and sanitation facilities,” said the Minister of Local Governance, Dr. Milad Al Taher.